It’s no surprise that travel has become more mobile-friendly, from being able to book air and hotel accommodations on the go, to checking in for a flight with a few taps and swipes on a smartphone – and Latin American travelers of all ages are taking advantage of having travel resources and information at their fingertips. 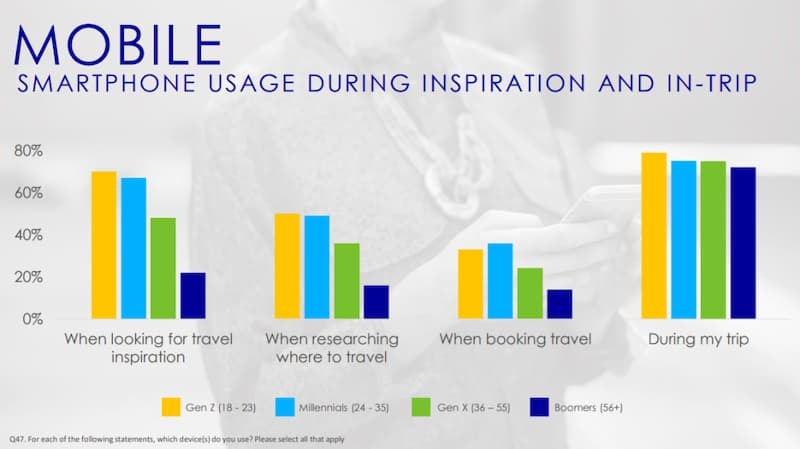 Our new research shows that 70% of all Latin American travelers use their smartphone in-trip, and approximately 70% of Latin American Gen Z and Millennial travelers use their mobile device when looking for travel inspiration – compared to only 48% of Gen X travelers. What other travel behaviors, preferences and influences differentiate Latin American travelers of varying ages? 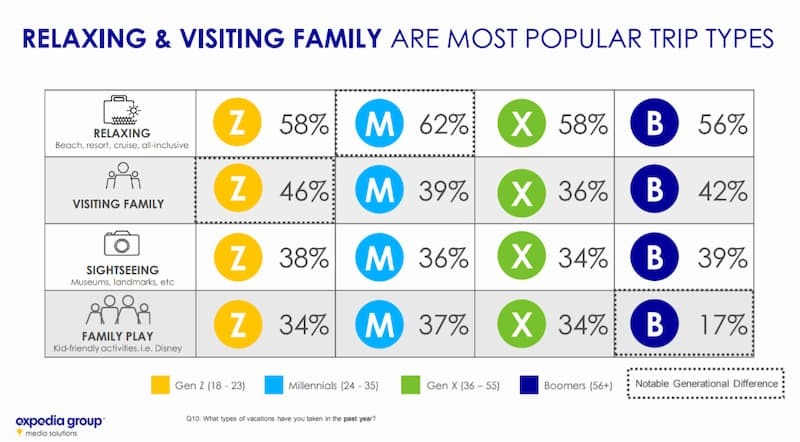 To help you understand how to reach and engage travelers, we've compiled some highlights and key insights from the research; be sure to download the full Latin American Multi-Generational Travel Trends study. Latin American Gen Z travelers take 4.4 trips per year on average and nearly 70% travel domestically, opting for relaxing trips (58%) and visiting family (46%). Forty-four percent of Gen Z travelers are interested in destinations where they can explore the outdoors and be active, while also seeking bucket-list or must-do experiences and opportunities to try new things. This open-minded generation is receptive to information and inspiration and is the most influenced by social media (91%). Seventy percent of Gen Z use their smartphone during the travel inspiration phase and 79% use their device in-trip – more than any other Latin American generation. Their mobile-heavy lifestyle represents an opportunity for brands to engage with these travels during the entire travel journey on mobile and on social media channels. Millennials take more trips per year (5.5) than any other Latin American generation, and they are making the most of their vacations, whether on a relaxing trip (62%), a family trip with kid-friendly activities (37%) or sightseeing (36%). More than 40% embrace the “you only live once” (YOLO) mentality and look for places where they can explore outdoors and be active. Millennials are the most destination indecisive generation in Latin America – 68% are undecided on a destination when they first decide to take a trip, and they are open to inspiration. 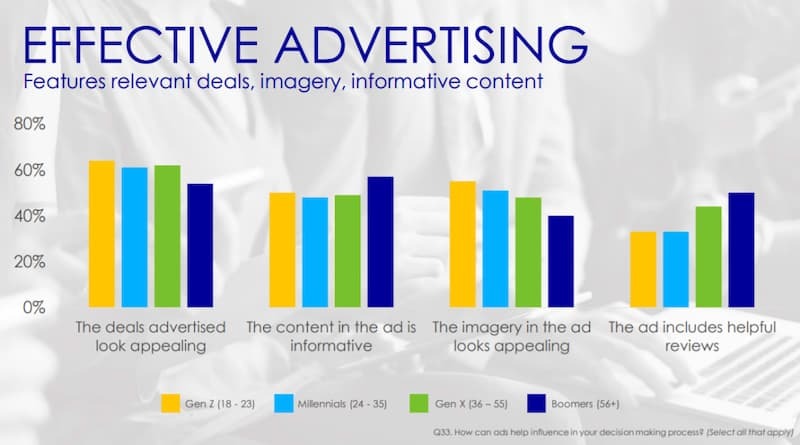 One effective way brands can influence this indecisive generation is through appealing deals on activities and beautiful images. Nearly half of Millennials respond well to both of these things. Similar to their Gen Z counterparts, Latin American Millennials are also using their smartphones for trip inspiration and research and booking. They are also heavily influenced by social media with 89% finding deals, travel pictures and destination content on social media influential. Latin American Gen X travelers take on average 5.2 trips per year, and relaxing trips are the most popular trip type (58%) followed by visiting family (36%). 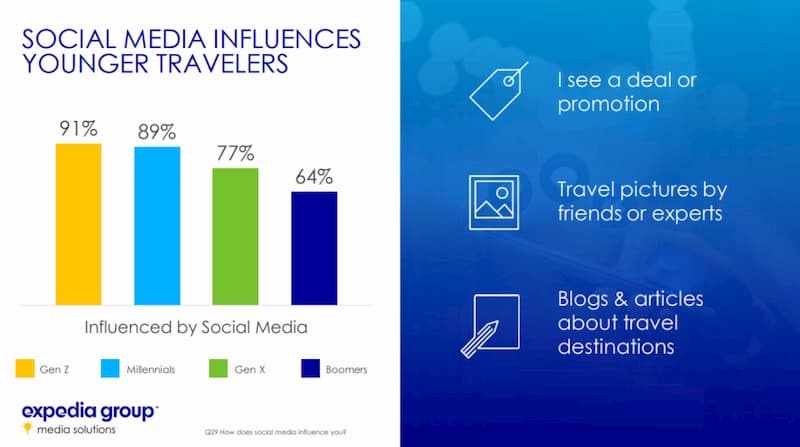 Sixty-four percent of Gen X travelers are undecided on a destination when they first decide to take a trip, and nearly 50% use their smartphone when looking for inspiration and 75% use their device in-trip. Gen X travelers prioritize trip activities and 62% are influenced by ads with appealing deals, so lead with unique experiences rooted in a great deal to make the decision-making process easy. Latin American Baby Boomers are taking fewer trips than other generations, but they are taking the longest trips (nearly 12 days), are more likely to travel internationally and the least likely to be tied to a budget compared to other generations. Air travel is the most popular mode of transportation for Baby Boomers (68%), but 25% travel to their destination by car – more than any other generation. Relaxing vacations (56%), visiting family (42%) and sightseeing (39%) are the leading trip types, and 46% of Baby Boomers already have a destination in mind when they decide to take a trip. While they have the time and the money to spend on vacations, Baby Boomers still love getting a great deal or value for their money. Brands can help Baby Boomers feel confident about their destination choice by highlighting informative content, appealing deals and helpful reviews. Subscribe to our blog and connect with us on Twitter and LinkedIn for more travel trends and insights. 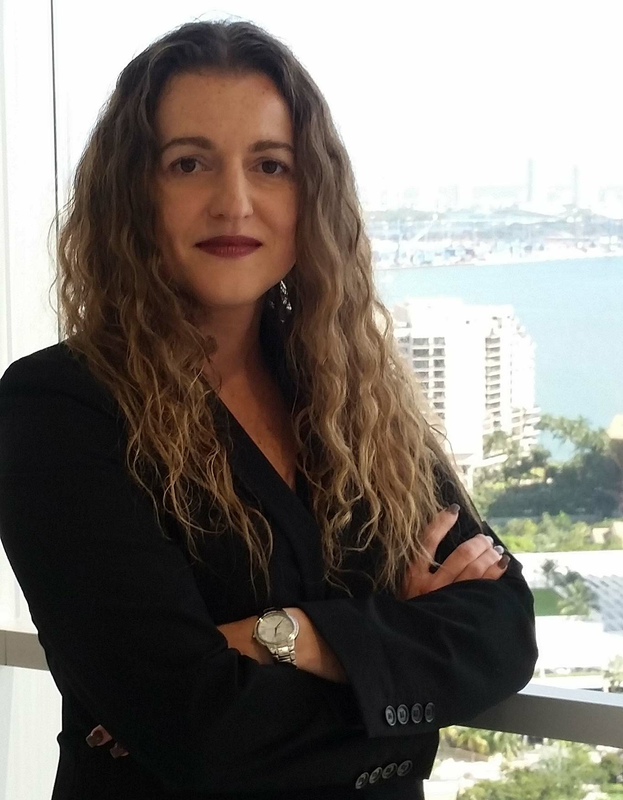 As director of business development for Expedia Group Media Solutions, Ana Paradela oversees the regions of Latin America, Mexico and Caribbean and is responsible for managing, motivating and coaching a team of travel marketing consultants. Ana has over 17 years of combined experience in the travel, hospitality and digital media sales. Prior to Expedia, Ana worked at Palace Resorts as a Senior Sales Manager leading the Sales team in North America for 10 years.